Today I was inspired by Emilia's English muffin she was eating for her breakfast and decided to have one too! I actually kind of forgot about them as I've been really into hot breakfasts like porridge or muesli with warm milk but this is another one of my favourites as well! I love the combination of banana and peanut butter so this is super yummy. 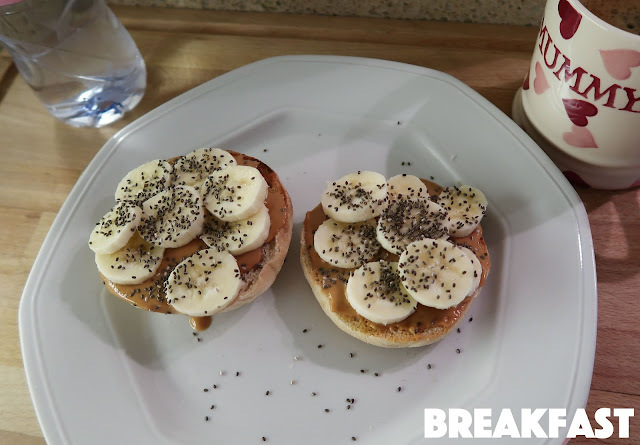 I toasted a muffin, then slathered both halves with peanut butter, topped with banana and a sprinkle of chia seeds. I also had a black coffee and bottle of water. For lunch I had an egg salad wrap (basically egg, mayonnaise & cress). 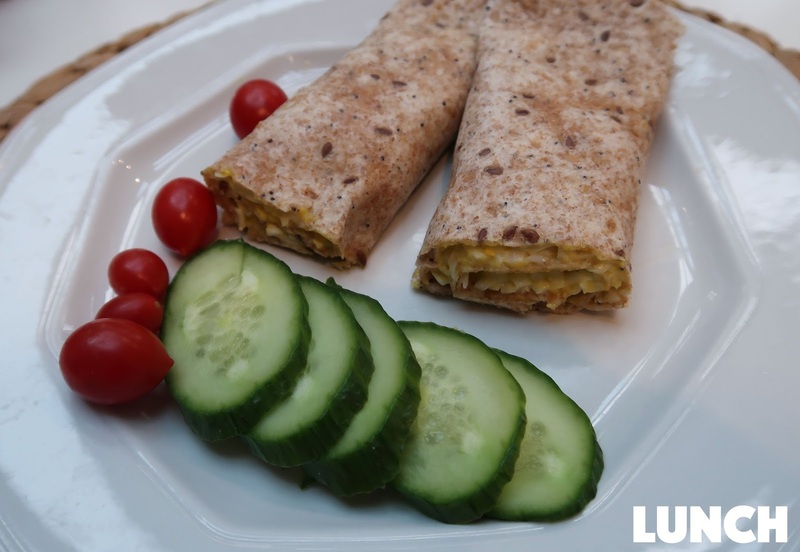 My favourite kind are the seeded wraps which I find more filling & satisfying than the white ones. I also had some cherry tomatoes, cucumber and another bottle of water. 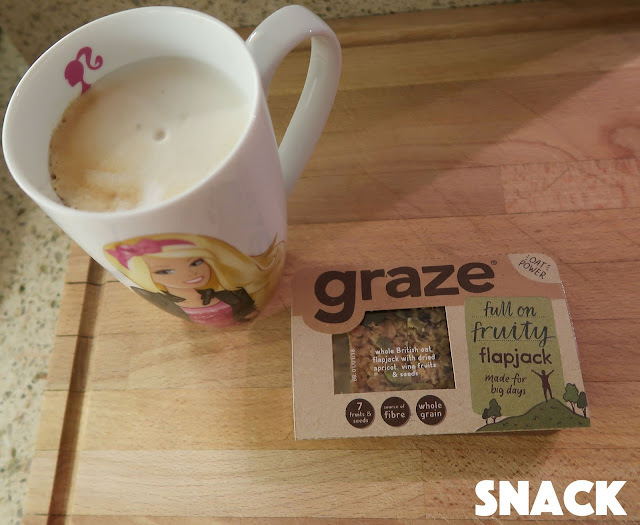 Later that afternoon I made myself an almond milk cappuccino and had one of these Graze fruity flapjacks. They are so delicious! I've got Emilia into them as well and she loves them. 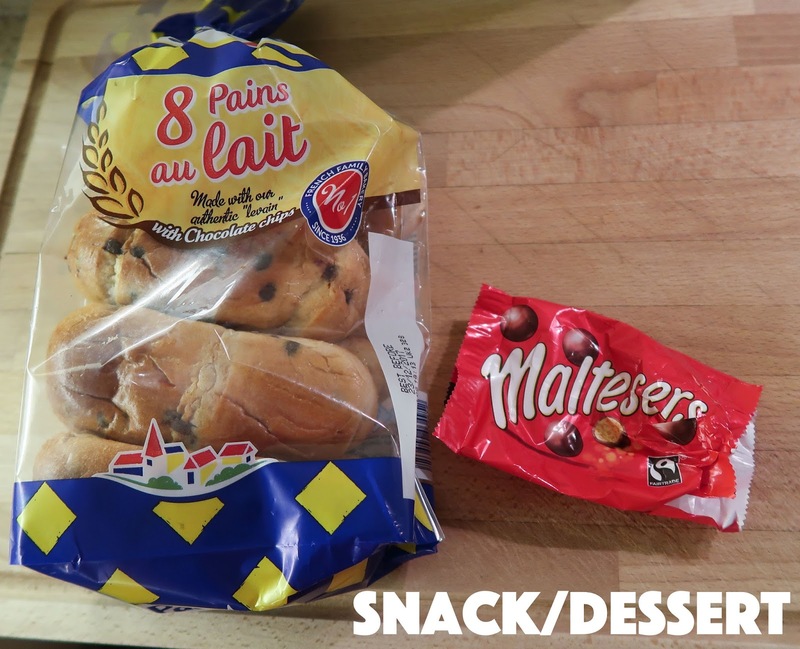 We always have quite a big gap between snack and dinner as we eat later than the children and sometimes their bedtime has a tendency to drag on so I end up getting really hungry! Bedtime with three exhausted kids can also be very stressful...so sometimes you need a little something to get you through, hahaha! On my way downstairs to get Emilia's reading, I stuffed my face with two chocolate chip brioches which were left over from Saturday's breakfast (one even had a bite taken out of it...I have no shame!!) and an opened packet of Maltesers which I had taken two out from the day before in an effort to bribe Emilia & Eduardo to smile for our Christmas family picture. This is real life folks! For dinner we had salmon fishcakes filled with hollandaise sauce, home made sweet potato chips and green beans. I had another two bottles of water before bed and was quite full from earlier so didn't feel like anything else after this! And here's today's video for you to enjoy! I didn't include the cooking bits today just because it was a hectic day with loads of people coming in & out of the house, plus Jonathan and Izzy were working all day on #SJXMAS...basically we need a bigger house and I need an office!! Hahaha...but seriously though. It gets pretty crazy in our house with three kids, six dogs and two adults who both work from home! 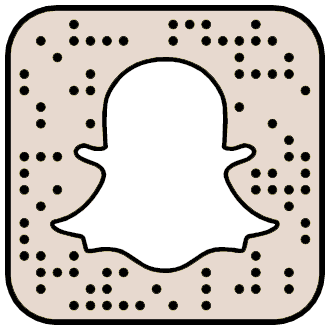 Anyway, hope you enjoy and let me know what you ate today! Really enjoy reading your WIEW posts. The breakfast muffin looks delicious! 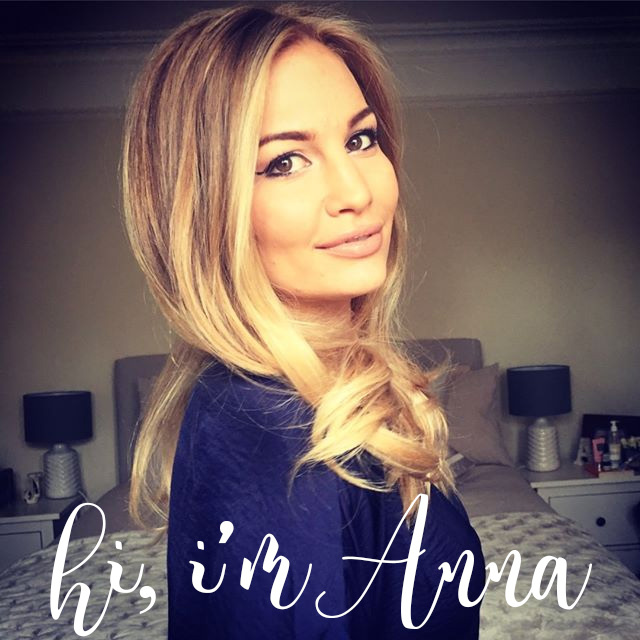 Hi Anna, love your WIAW's as usual! I can be the same Anna and need the chocolate in the afternoon! Hope you find a bigger place soon! 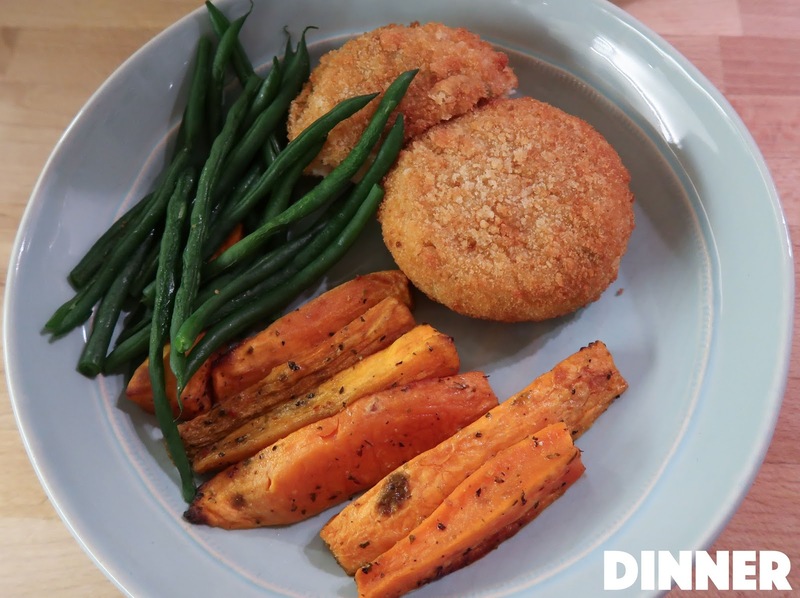 This looks like a lovely selection of food, it is so great to see what people realistically eat in a day & I am definitely going to try making some homemade sweet potato chips - they look delicious!